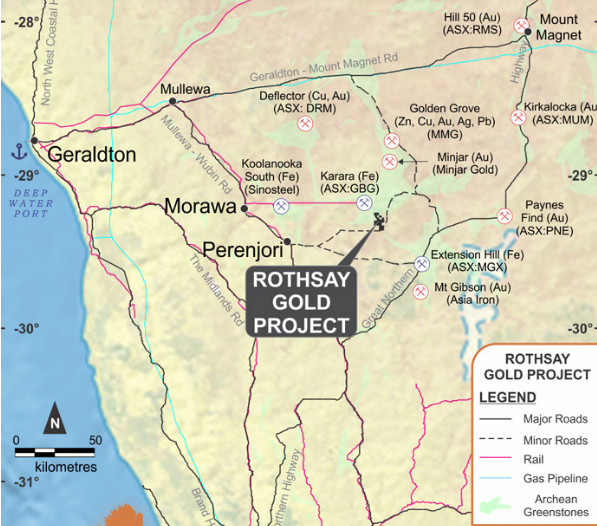 EganStreet Resources Ltd (ASX:EGA) made further substantial progress during the June Quarter towards its objective of becoming a new high-grade gold producer at its flagship Rothsay Gold Project, 300 kilometres north-east of Perth in Western Australia’s Midwest region. The major focus of activity was the completion of the Definitive Feasibility Study (DFS) on the Rothsay Project. The DFS was announced to the market on July 19, with the results confirming the potential for a new low-cost, high-margin Australian gold project capable of delivering strong financial returns for shareholders. It should be noted though that EganStreet still has a lot of work to do to realise this upside, so investors should seek professional financial advice if considering this stock for their portfolio. The DFS was based on the updated Mineral Resource Estimate for the Rothsay Project announced in May 2018, which resulted in a 31 per cent increase in contained ounces to 401,000 ounces. The updated Mineral Resource Estimate, comprising 1.42 million tonnes at 8.8g/t gold, stems from a combination of successful infill and extensional drilling completed since the last Mineral Resource update announced on December 4, 2017. EganStreet also maintained a strong focus on exploration with a 59-hole regional RC drilling programme underway. A further 42-hole diamond and RC extensional program is scheduled to begin in early August, targeting potential extensions immediately south of the Woodley’s and Woodley’s East deposits. One of the key features of the DFS in terms of quantifying the significance of the project is that it is expected to produce 250,000 ounces of gold over a 6.5 year mine life. The maiden start-up Ore Reserve is 1.4 million tonnes at a robust 4.4 g/t gold. However, it should be remembered that there is scope for substantial exploration upside which is expected to build on the current resource and result in an increase in the reserves category. The DFS points to average annual gold production of 53,000 ounces over the first four years. Rothsay boasts good economics with all in sustaining costs (AISC) of $1083 per ounce. This implies a hefty margin of $560 per ounce based on the current Australian dollar gold price of $1640 per ounce. 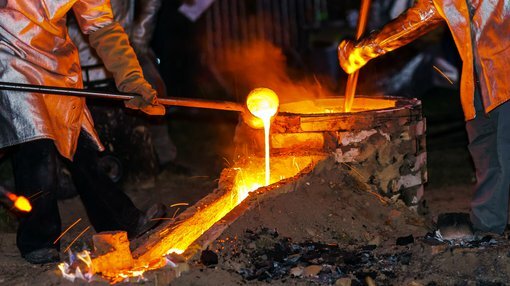 The internal rate of return (IRR) of 57 per cent was based on a $1700 per ounce gold price, however even at the current spot price the IRR is attractive. Egan Street is punching above its weight, with its market capitalisation of circa $30 million failing to reflect that it is a company with a relatively near-term (Q4 2019) production profile that has the capacity to fund future exploration, while in turn potentially boosting the capacity of Rothsay and/or providing the company with the option of developing new projects. Recent exploration has intersected two zones of mineralisation which now form part of the Mineral Resource Estimate, these being in the hanging wall of Woodley’s East (Woodley’s East HW), totaling 160,000 tonnes at 4.3g/t gold for 22,000 ounces. These two lenses, which are parallel to the Woodley’s and Woodley’s East Shears, are located in close proximity to Woodley’s East. The DFS completed subsequent to quarter-end demonstrated that these zones can be profitably mined as part of the DFS Production Target. The new zones sit approximately 10 metres and 20 metres respectively to the east of the Woodley’s East Shear as indicated below. 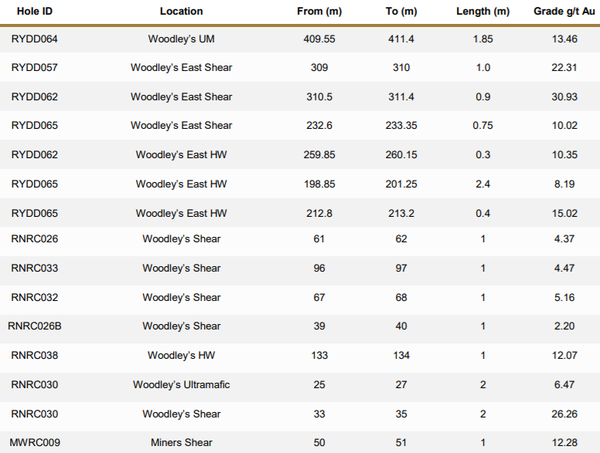 During the June quarter, the company reported high-grade results from recently completed infill and extensional diamond drilling at the key Woodley’s and Woodley’s East Shears. EganStreet subsequently reported further high-grade results from regional drilling conducted outside the current Rothsay Resource in the upper zone of the Woodley’s northern extension and the Miners Shear. EganStreet is continuing to explore for additional high-grade gold discoveries within the Rothsay Gold Project tenement package. Immediate opportunities to grow the high-grade Resource and Reserve inventory exist to the south of the current Ore Reserve. A 4000 metre diamond drilling programme which forms part of a broader 6700 metre RC and diamond drilling programme is scheduled to commence in early August 2018 to test for extensions to the south on both Woodley’s and Woodley’s East Shear. This could be a surprise packet as management has not been able to target these down-plunge extensions due to mining tenement conditions that previously restricted drilling in this part of the tenement. 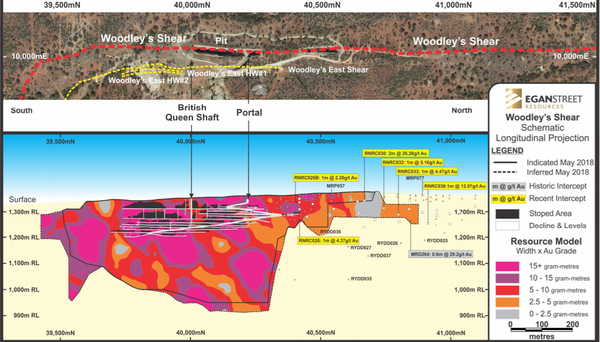 Importantly, the Woodley’s Shear, the key gold-hosting structure at Rothsay, remains open at depth and along strike, and the project is highly leveraged to further increases in Resources and Reserves.